Reflecting on the good things in our lives or cultivating a sense of gratitude is advice as old as the hills and the sages who lived in them. There is now good evidence that cultivating gratitude has a large number of mental (and physical) health benefits. Three good things in life: Participants were asked to write down three things that went well that day and their causes every night for a week. In addition they were asked to provide a causal explanation for each thing. After just one week of doing these exercises they were followed up for six months. Those who ‘counted their blessings’ in this way for just one week became happier and less depressed and stayed that way for at least six-months after the experiment. 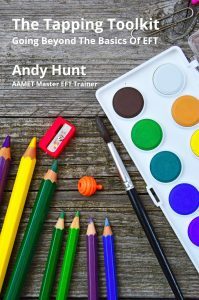 In the first EFT Café of 2011 Andy Hunt how to use EFT to deepen your experience of gratitude. This workshop goes way beyond a simple gratitude list using EFT to tap into the deep good feelings that lie beneath the things you are grateful for. The EFT Café meets on Wednesday January 4th between 7pm and 9pm at St Oswald’s Hospice Teaching Centre, Gosforth, Newcastle upon Tyne. The fee is just £10. 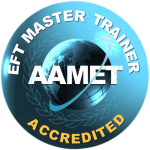 You will need some practical experience of EFT to attend this workshop.